Can You Find The Needle? ... We Did! Since making the Shopper Approved customer service feedback option available to Online Customers, several people have mentioned having difficulties paying for their purchases on our website using PayPal. The Thomas FX online business platform is comprised of dozens of integrated software programs, many of which are cloud based, all of which have built in layers of security. 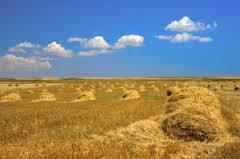 Can you appreciate the challenge of finding one needle hidden in a whole field of haystacks? After several months of debugging attempts, we have been successful in locating and fixing the bug. It seems that when PayPal was originally integrated into the Thomas FX business system a few years ago, one connection was not made correctly during the integration. Hopefully, now that we have located and fixed the problem, customers should find it easier to complete their online transactions using PayPal. We apologize if you have experienced frustration using the PayPal payment module embedded in our website, and thank you for bringing the glitch to our attention. Since finding and fixing the problem last week, no more customers have reported issues in paying using PayPal. The Thomas FX website has layer upon layer of security to protect our information and our customers' data. No data or personal information was compromised. 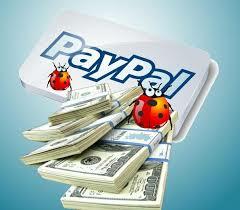 PayPal was simply unable to complete payment for our customers' orders. Please let us know if you have ANY questions about our products, our customer service, of the integrity of your purchases on our website. We are always looking for new ways to improve customer service and our customers' experience in dealing with us. Thank you for your patience as we worked through the problem.